FAIRFIELD -- A significant turnover on the Town Council has seen the end of one 54-year career of public service and the seating of the first female councilor in more than a decade. FAIRFIELD — A significant turnover on the Town Council has seen the end of one 54-year career of public service and the seating of the first female councilor in more than a decade. 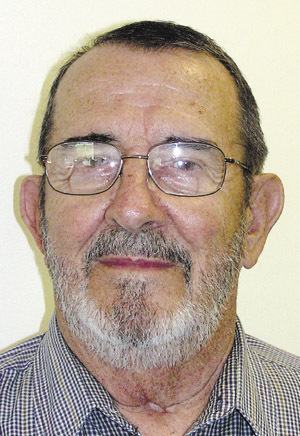 Don Giroux, 84, who decided not to seek another term on the council, has been a fixture in town government since he was first appointed to the Planning Board in 1958. Tracey Stevens, 41, is the first woman to serve on the council since 1999 and was elected council chairwoman Wednesday. Giroux, who was first elected to the council in 1963, said later that he has seen a positive change in the town’s leadership in recent years. “I think right now the town is in pretty good shape financially and we have great department heads and a good manager,” he said. Giroux has served on a variety of town boards, including 16 years on the council. He said his most recent term was his last but that he still plans to attend meetings when possible. Giroux said that the town is recovering nicely from a bad period several years ago, when reserves of about $2 million were depleted to about $100,000. The current reserve is more than $1 million, he said. Giroux said the key for Fairfield’s continued success lies in economic development of its downtown. “I think the biggest challenge for the town is to try to build up the Main Street again,” he said. Giroux had nothing but praise for the three incoming councilors, including Rep. John Picchiotti, whom he called steady and knowledgeable. His deepest impression of incoming councilor Michael Taylor is through his father, George Taylor. “If this boy’s anything like his father, he’ll be great on the council,” Giroux said. Giroux also complimented Stevens’ intelligence and ability. According to Town Manager Josh Reny, the most recent previous woman on the council was Dawnalysce Clifford, who also was chairwoman. Reny said no more than six women have ever served on the council. 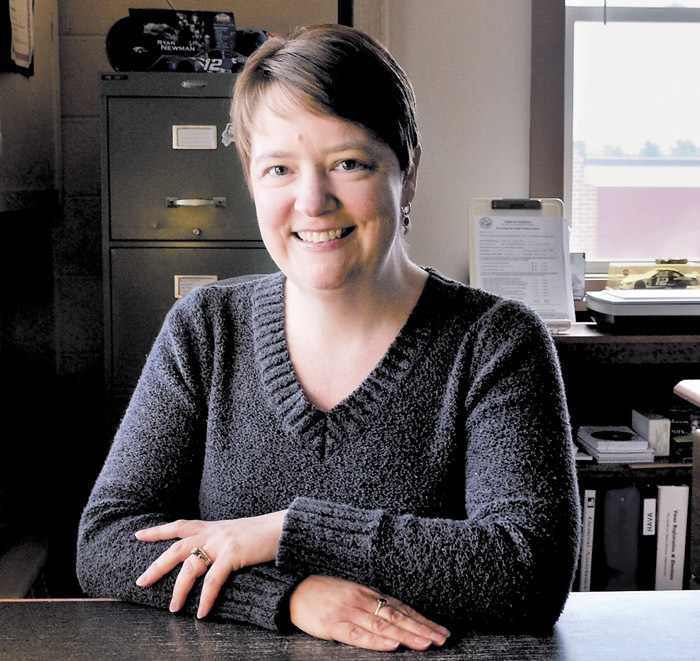 Stevens said Friday that she does bring a lot to the table, but that is because of her experience as town clerk and her strong relationship with the community, not because of her gender. Stevens said her top priorities are economic development, especially of the downtown area; working with the school and the state to prevent school costs from increasing taxes; and maintaining a fund balance while being fiscally conservative. Outgoing councilor Tom Munson and council chairman Ed Finch also were recognized with plaques for their service to the town. Harold Murray and Robert Sezak are the remaining members of the council. In two unanimous votes, Murray was elected as vice chairman and Sezak was elected as second chairman. The council also changed its regular meeting time from 7 p.m. to 6:30 p.m. on the second Wednesday of each month. It will continue to hold workshop meetings on the fourth Wednesday of each month.